When you imagine surprises involving your car insurance, visions of mishandled claims or rate increases may be the first things to spring to mind. 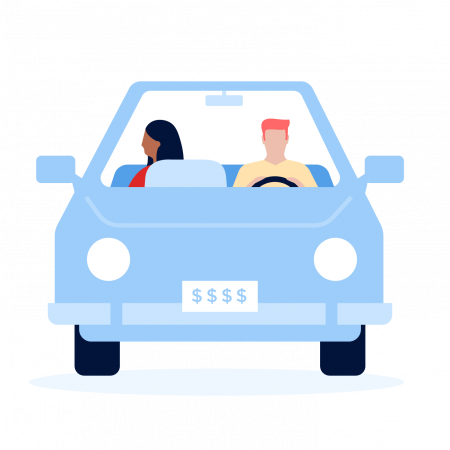 But car insurance surprises can be good, too — and none is sweeter than learning you’re covered for costs you thought you’d have to pay yourself. Here are seven unexpected things car insurance can cover. Pets frequently ride in cars — and without little seatbelts. Pet injury coverage is available from companies such as Progressive, Erie and Chubb. This coverage helps pay for injury treatment for your dog or cat if they’re hurt while riding in the car. The typical payment limit is $500 to $1,000 per incident, although Chubb provides up to $2,000. Pet injury coverage might be included automatically if you opt for collision and comprehensive; ask your insurer. If injuries from a car accident cause you to miss work, your car insurance may be able to help get back some or all of the wages you lose. This benefit is part of personal injury protection, which covers injuries for you and your passengers regardless of who caused the crash. PIP is required in 12 states and optional in eight others. “Make sure to ask your insurer if wage reimbursement is included in your PIP coverage, as states have slightly different laws,” says Jeanne Salvatore of the Insurance Information Institute, an industry trade group. Some states may not offer this perk, and in others you may need to request it. For city dwellers who leave their cars on the street, there’s potential for car damage from nasty weather, unpracticed parallel parkers and, yes, even riots. But whether a civil protest becomes violent or sports fans lose their cool after a big game, your auto insurance policy can help pay for damage. If you have comprehensive coverage, Passmore says, shattered windows, scratches, dents from kicking feet and other forms of riot-based vandalism are covered. Because home insurance doesn’t pay to repair damage from earthquakes or floods unless you buy special coverage, you might assume your auto insurance policy won’t, either. But add these natural disasters to the list of risks covered under comprehensive auto insurance. With any comprehensive or collision claim, your claim check will be reduced by your deductible amount. There’s often confusion about who pays if a friend crashes your car. If a friend borrows your car and causes a crash, your insurance pays — and the claim goes on your record. Liability insurance pays for the damage and injuries caused to others, up to your policy limit, and collision coverage pays for the damage to your car. Crashes caused by your pals could trigger a rate increase for you at renewal time, and you could also be on the hook for damages that exceed your liability limits, so it’s important to trust whomever you hand the keys and know the potential consequences of loaning your car. If debris from asteroids, meteors or orbiting satellites ever hurtles toward Earth and onto your car, your auto insurance policy can cover the damage. Falling objects, even ones from space, are included under comprehensive coverage, so your repairs would be reimbursed, minus your deductible. Comprehensive coverage also pays for theft of your car, as well as for animal collisions, floods and other damage not from car accidents. Squirrels, mice, chipmunks and other unwelcome rodents are known to gnaw on electrical wiring inside cars. If you have comprehensive coverage, your repairs are generally covered. Exceptions include cases when your vehicle is in storage or parked on the street. No matter how unlikely it seems that an issue will be covered, Passmore recommends asking your insurer about it. Don’t assume your auto insurance policy won’t pay for oddball problems; you might lose out on financial help to which you’re entitled. This story was written by NerdWallet and was originally published on USA Today.